Our region is diverse and characterised by areas of natural forest, areas of high conservation value, fertile floodplains for agriculture, coastal wetlands, inlets and estuaries and is a significant contributor to the Victorian economy through power production and agribusiness. The environmental condition of rivers in Victoria is assessed by using the Index of Stream Condition (ISC). This brings together data from many sources giving a detailed overview of river condition across the state at a given point in time. Estuaries are an important link between the ocean and land. A meeting place where fresh water from rivers and streams mixes with salty marine waters. Estuaries are dependent on both of these water sources to provide a diverse and healthy environment. The West Gippsland region is one of the most diverse natural resource management regions in Australia. It extends from San Remo on the coast in the west to Lakes Entrance in the east and to Mount Howitt high up in the Victorian Alps. Our region has valuable water resources for environmental, agricultual, industrial, urban and potable water supply purposes. 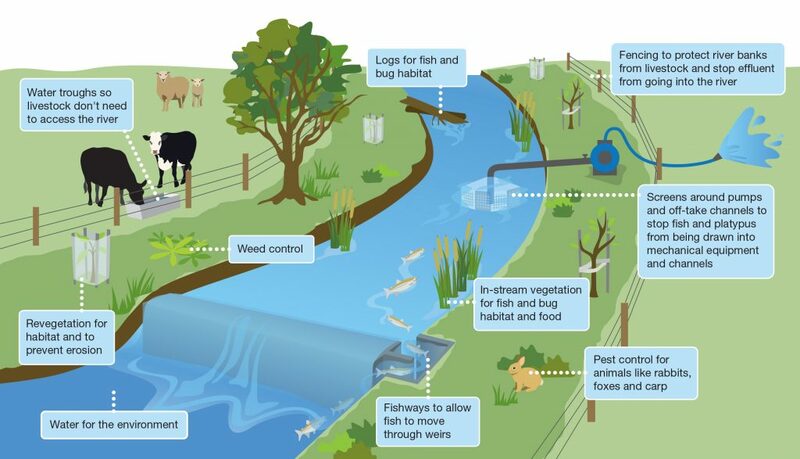 These resources consist of extensive networks of rivers, streams, creeks, wetlands and estuaries. We are responsible for the river health of over 40,000 kilometres of waterways in this region. The Powlett River Mouth is listed as a wetland of national significance and covers 580km². It is a beautiful spot popular with families and for recreational fishing. Many rare and endangered plant and animal species call this estuary home. Urban creeks are often much loved by local communities. Running through towns and providing places for exercise and recreation. They provide stormwater drainage for you, your neighbourhood and for upstream catchments. 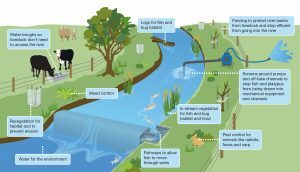 A healthy waterway will help clean the water naturally, provide habitat for native fish and wildlife, be resistant to erosion and the build-up of sediment. Victoria's rivers and wetlands provide water for towns, industry and food production. This means we remove a large part of the water that would normally flow into these ecosystems. The West Gippsland Waterway Strategy is an eight year action plan for rivers, wetlands and estuaries. It will guide future investment in waterway management. We are required by the Victorian Government to produce a Waterway Strategy, which provides a single, regional planning document for waterways in West Gippsland. We are responsible for over 40,000km of designated waterways across our region. All of these waterways flow to the Victorian coast, discharging through the Gippsland Lakes, or directly into Bass Strait and the Southern Ocean.